Welcome back to the continuation of the TRESemmé 7-day smooth challenge .So on my last post I gave some details about the new TRESemme range (click here for more info https://dblossombox.com/2014/10/18/the-challenge-begins-with-tresemme-7-day-smooth/ ) now its time for action. Time : Saturday 18 October 2014 at 18.00hrs The Challenge to tame my wild locks starts NOW! Grab the TRESemmé 7-day smooth Shampoo, put a considerable amount on your hands (depending on your hair length and thickness). Wash your hair as normal. There was not a lot of foam which I learnt from a hairdresser that this is usually good cause it will be cleansing more thoroughly then Rinse Rinse Rinse. Move on to the TRESemmé 7-day smooth Conditioner. Now personally I love me some excessive amount of conditioner so I do quite a bit, put it on my hair massaged it through as usual and left it to stand for 3 minutes. Rinsed it off accordingly. Now we are done and it’s time to towel dry my hair with several weird movements and hair flying all over the place. Job Done. 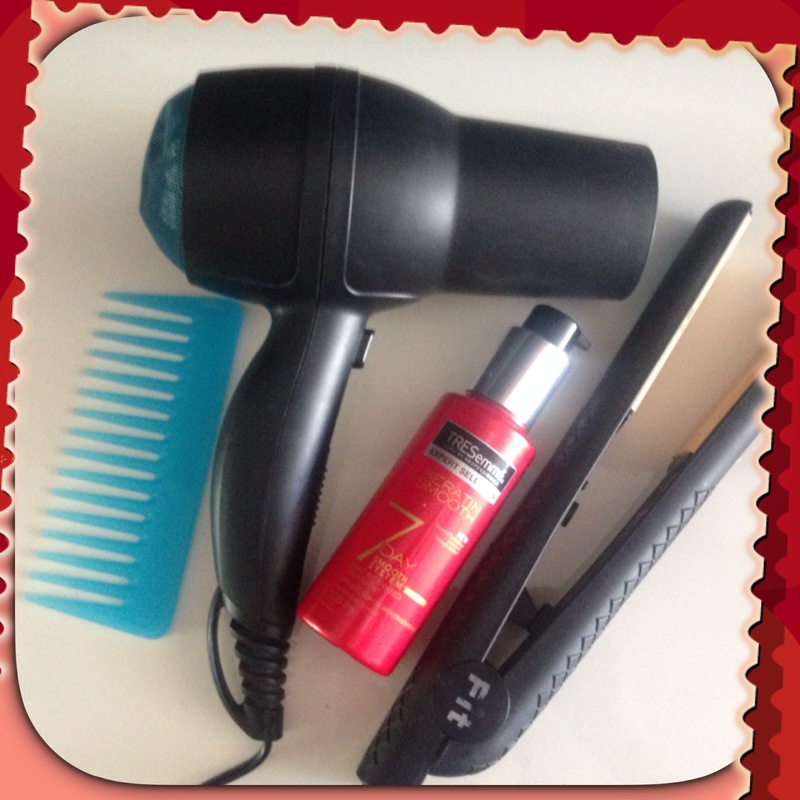 First things first, section your hair in a way that you can spread around the treatment evenly through out your hair. What I do is part my hair in two sections left and right. Then separate the left in 3 sections and the right in 3 other sections with small clips or rubber bands. Got the treatment and did one to two pumps per sections depending the thickness of the parting. Each pump was rubbed in my hands and then applied from root to tip. Once you do this to all your hair, comb through your hair so the product is spread even more. The product seemed rather sticky when I was done so I was looking forward to see if it will be absorbed in the next stage. So now its time to dry the hair with a blower got my flat brush (flat or round)whatever you have) and started drying my hair freely so with no consistent heat in one area, just brush and blow action through out my hair. Now things are starting to come together, cause when my hair was rather dry I started seeing my hair was already more manageable, frizz-less and the stickiness from the treatment has disappeared. 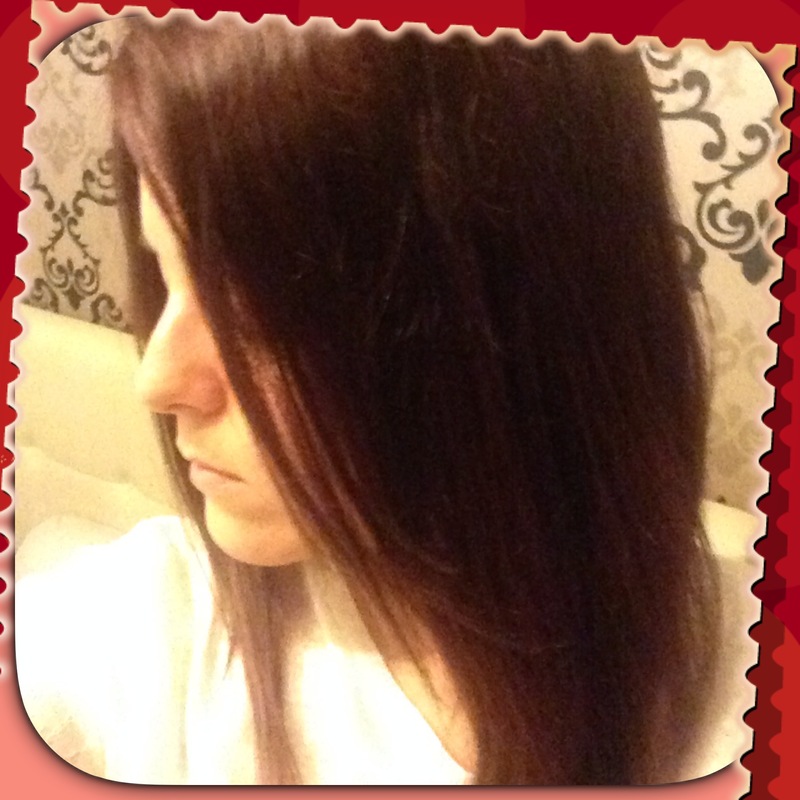 So I can see why the label says that it can be used daily to manage your hair easily! Brilliant. Once my hair was dry, I left it to cool off for 5 to 10 minutes. Sectioned my hair in 3 large pieces – Bottom – Middle – Top. Then I separated each section again in 4 to 6 pieces. ( again depending on your hair thickness). Grabbed my flat iron and started going through each small section 3 to 5 times with the iron. Finishing Time – 19.20 pm was my wild beast tamed? 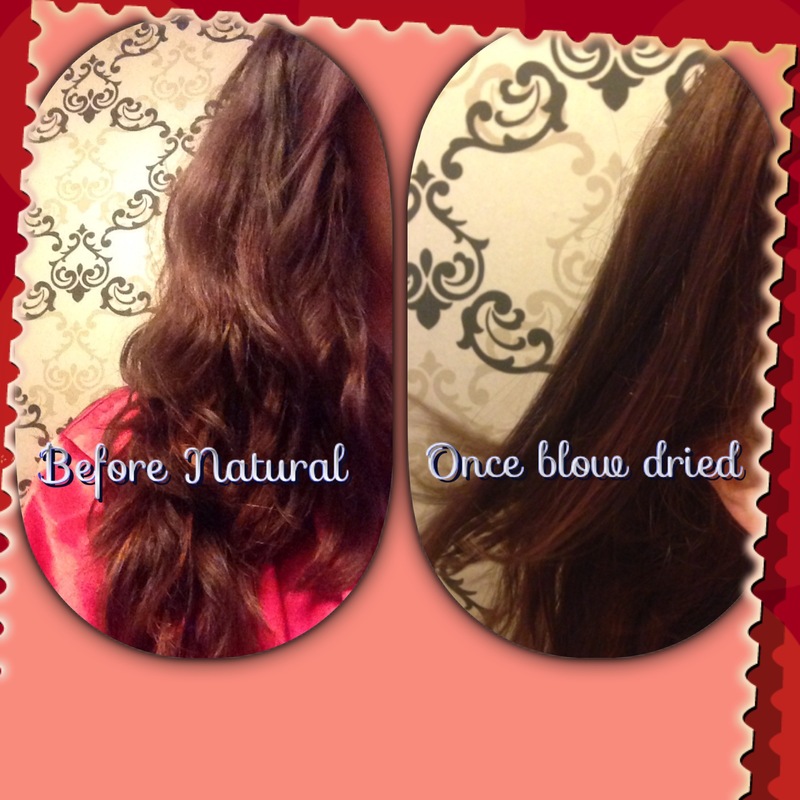 And to my delight I can say I Managed To Do A Blow Dry On My Own, without breaking my arm and dehydrating my hair! So basically my hair is soft, there is no frizz and it took me a rather good amount of time to get to sleek hair. It also smells fresh and clean, all I added was some serum to my ends cause that is my holy grail every time I style my Hair. 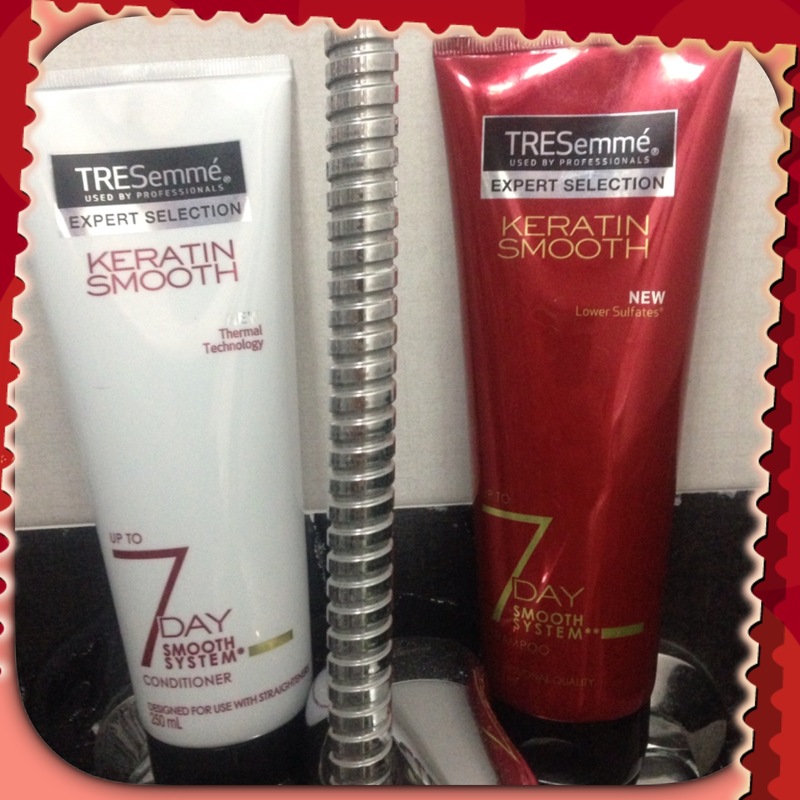 The last challenge I will put the TRESemmé 7-day smooth will be, how long it will keep straight and smooth. So will check back on Tuesday after my Gym session and reuse the products again! Keep tuned for the last update next week.